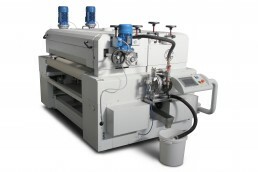 The SPC series oven developed for the integration in the finishing systems for profiles, skirting boards, unassembled, smooth or shaped windows. 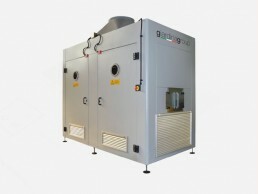 The SPC oven is combined with the MCD vacuum coating systems or the 1VE-2VE-MCS-GS4 series sprayers. 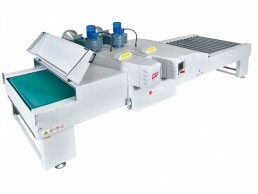 The unique feature of the SPC oven is the transversal arrangement of the UV lamps placed between the rollers of the conveyor system. 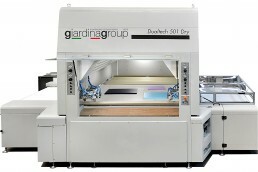 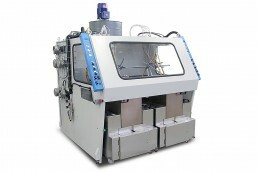 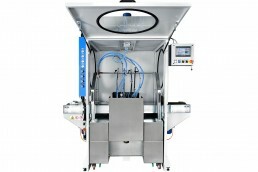 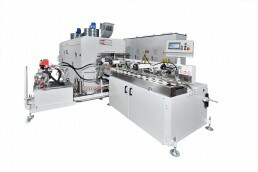 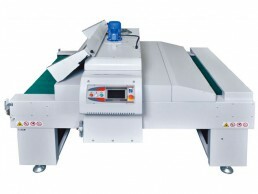 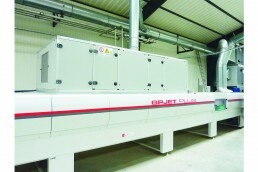 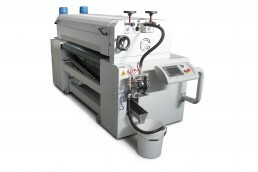 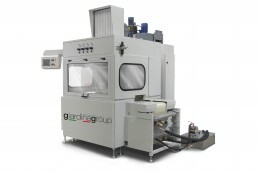 This configuration enables the machine to dry any type of profile regardless of its geometry, and size. 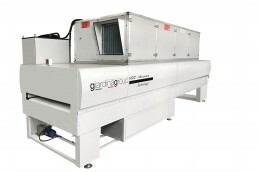 Using UV lamps with reduced length installed crosswise, it is possible to precisely calibrate the energy required to obtain an optimal drying without unnecessarily overheating the profile. 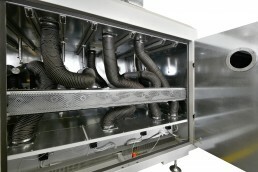 Using the UV PLUS technology, the oven is able to achieve high energy savings. 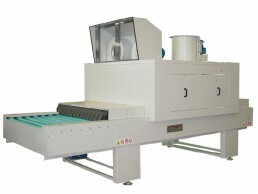 The GST / UV ovens is used to cure finishing products on all types of flat or shaped support. 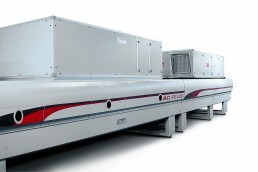 Designed in modular form, our ovens are powered by continuous electronic control systems of the lamp power. 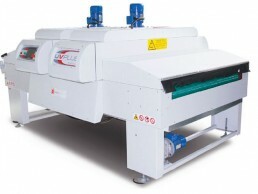 Combined with the particular geometry of the reflector, this technology is called ‘UV PLUS’. 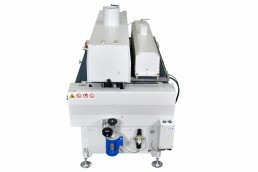 This makes it possible to make the most of the potential of UV radiation by reducing energy consumption and increasing the useful life of the lamps. 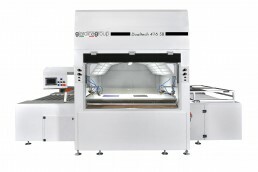 The Zero Gloss UV oven uses Excimer technology to achieve a very high level of opacity, as well as a high resistance to scratching, wear, less yellowing and fingerprints.